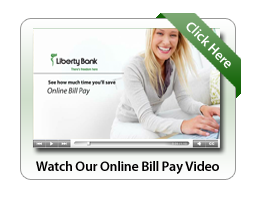 With the online bill pay option through online banking, you can initiate single or ongoing electronic payments to any payee you set up in mere seconds. Just enter the amount and delivery date and we'll do the rest to ensure your payment is received on time. You must first enroll in Online Banking after your account has been opened. If you have not enrolled for Online Banking yet, you may do so now. If you are an existing Online Banking customer, click on the link below to login to your account and sign up for Online Bill pay.